We really value engagement photography sessions, especially with our wedding photography clients! We strive to capture photographs that show your love for each other in anticipation of your wedding day. These sessions further the relationships we start with our clients at bookings, create comfort in front of the camera, and capture photographs from a special season of life that can be used leading up to your wedding day. 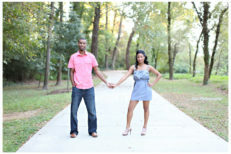 Our engagement photography collections begin at $300 and include a high-resolution DVD of 30 images.